Design study pays tribute to legendary motor racing glories at the Concours d’Elegance in Pebble Beach. 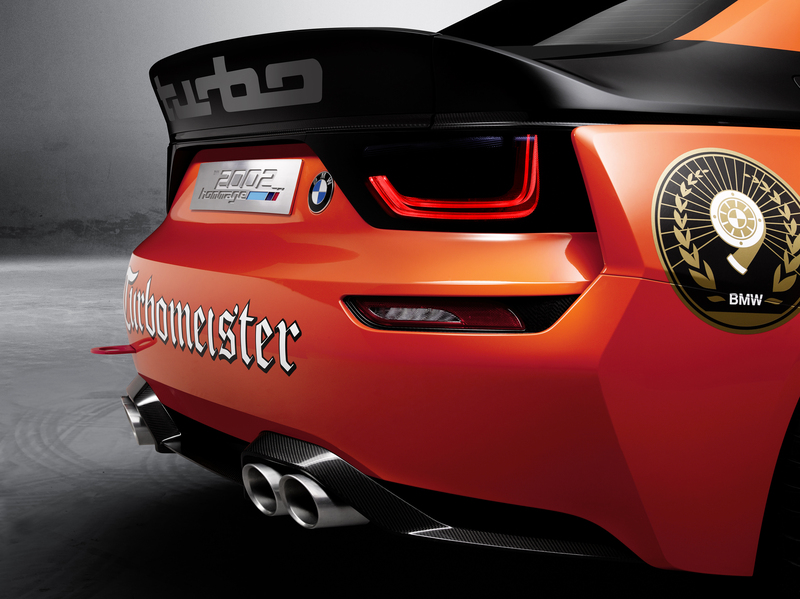 Munich/Pebble Beach – August 18, 2016…At the Concours d’Elegance in Pebble Beach, the BMW Group is presenting the BMW 2002 Hommage to shine the spotlight back over its successful history with turbocharged engines. 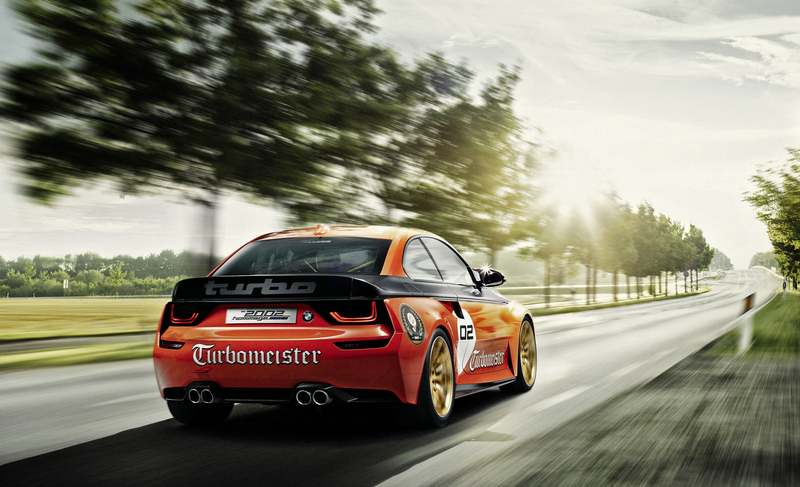 In 1973 the BMW 2002 turbo became the first series-produced vehicle in Europe to feature turbo technology. 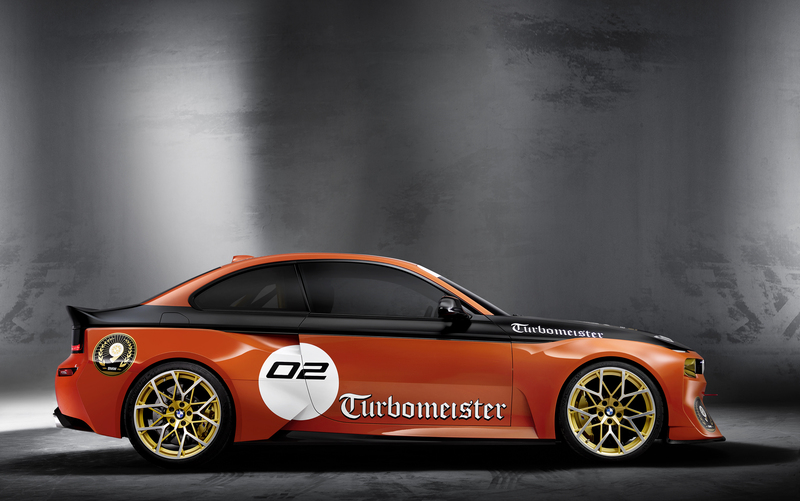 In so doing, it turned the BMW 02 into a full-blooded sports car. 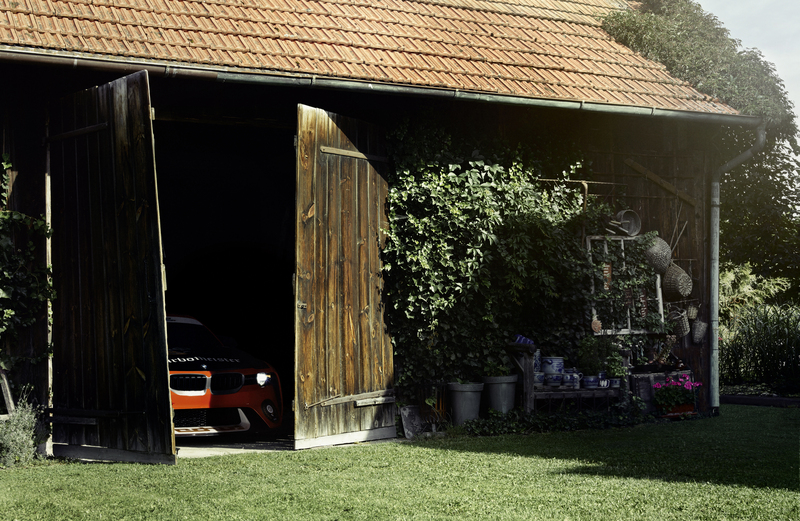 Looking back, the advent of BMW turbo engine technology pointed the way for both the development of the sportiest BMW sedans and milestones such as the first Formula One World Championship title for a turbocharged car – won by Nelson Piquet in 1983. In perhaps the most literal reference of the original 2002, the 2002 Hommage features a unifying “waterline” to connect many of the car’s formal elements. This unbroken carbon fiber line physically wraps around the car from front to rear, while also creating a horizontal distinction between upper and lower body surfaces. 20-inch light-alloy wheels in bi-colour design round off the styling as the car meets the road. 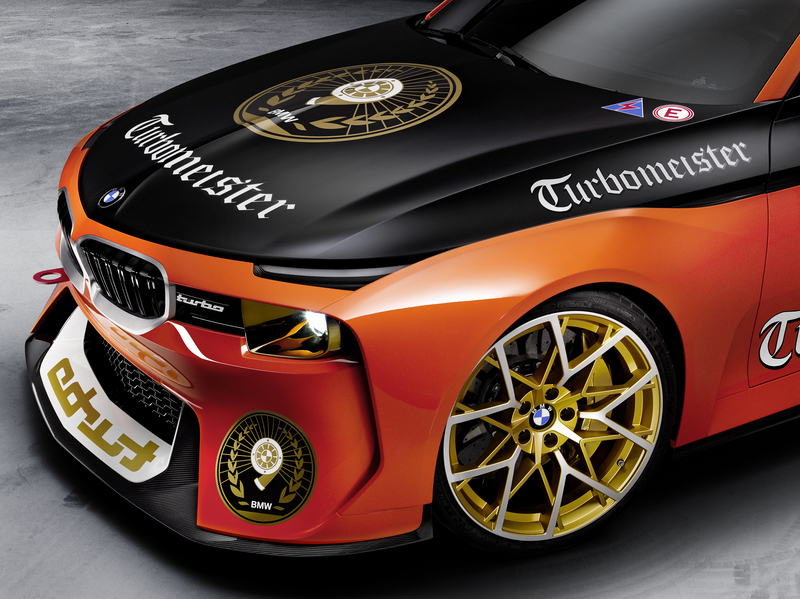 The modern looks of these lavishly milled, multi-spoke items recall the racing rims of bygone eras, while gold-coloured brake callipers bearing the M logo add an extra stamp of class. 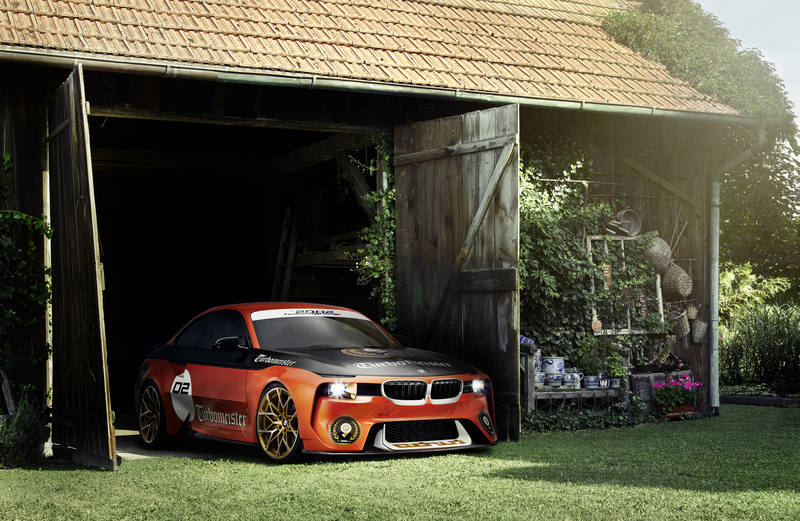 BMW 2002, the BMW 2002 Hommage also has two single round headlights that provide the striking front end with its outer limits. 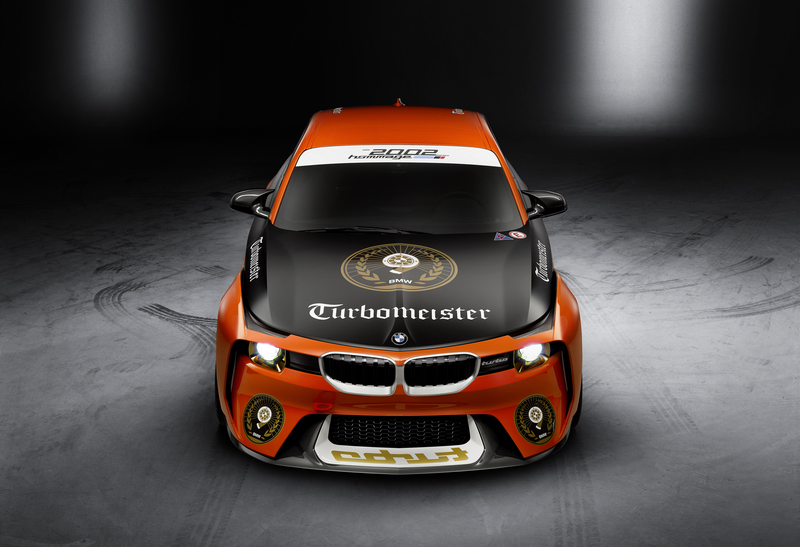 The headlights’ reflective gold colouring is a pointer to the “golden” 50th anniversary of the BMW 2002’s launch. The headlights also reprise the yellow hue commonly found in the headlamps of racing cars back in the day. An unbroken horizontal black band unites the design elements of the front end and in so doing, underlines the car’s wide and athletic stance. Those with a keen eye will also pick out the turn signal repeaters, which – like those of the car’s forebear – are located separately from the headlights and embedded in the wrap-around carbon fiber waterline element. 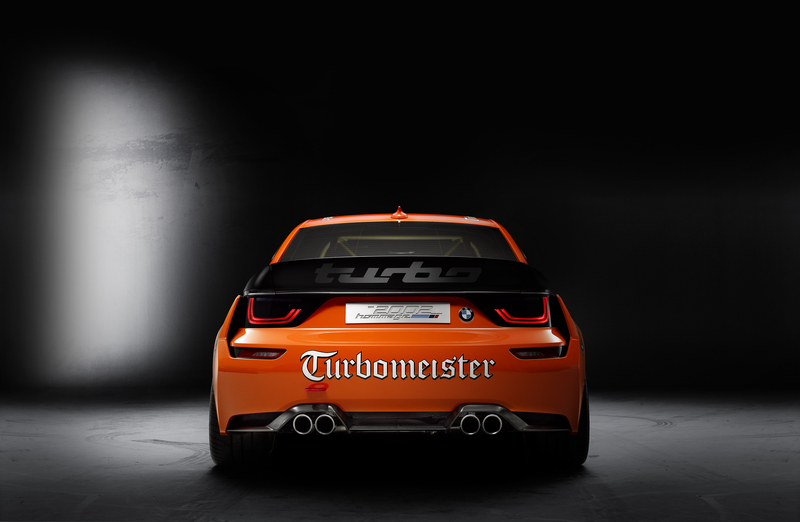 The rear-end design of the BMW 2002 Hommage also calls on elements of the 2002 turbo. For example, the horizontal sub-division of the car’s generous surfaces and its clear lines make a width-emphasising and thus suitably dynamic statement, laced with modern feel. The almost rectangular lights provide a stylistic border for the rear end. The glass covers have a contemporary black- panel look and only offer a view of the inner workings when the lights illuminate. All you can see when they are dormant is an unbroken black surface. 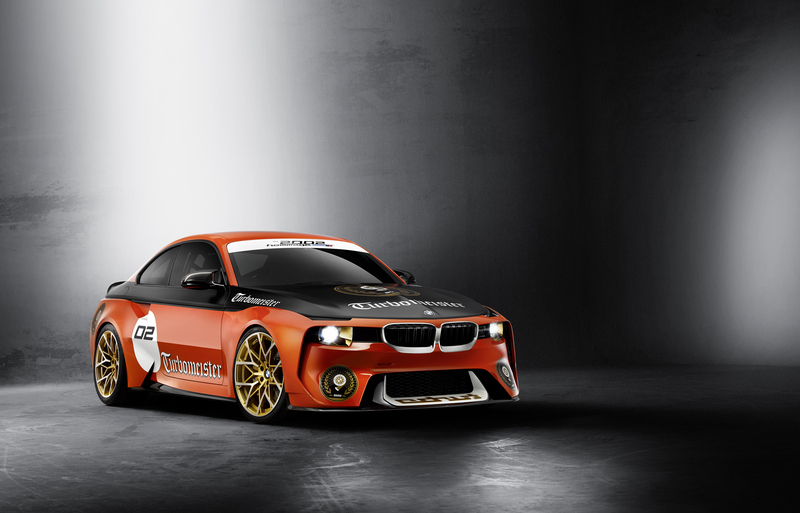 As at the front of the car, this strengthens the impression of a strip wrapped around the car. The asymmetric BMW logo placement to the right of the license plate between the two rear lights is likewise a characteristic element of 02 rear styling. 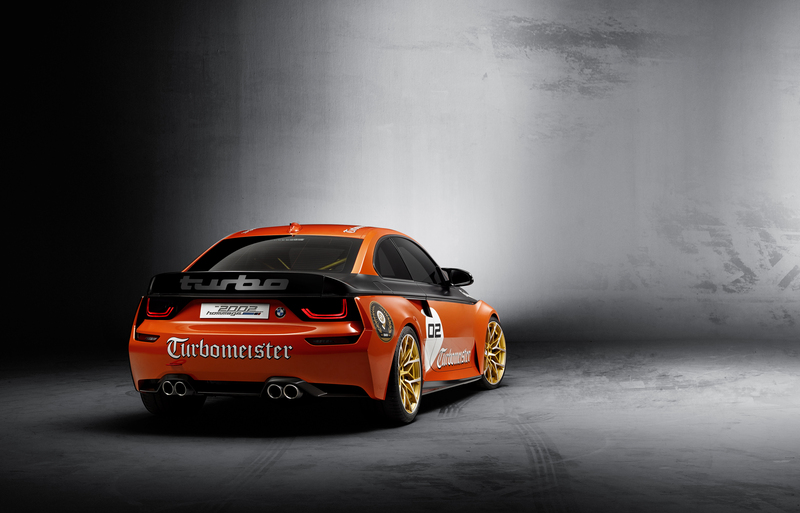 The muscular wheel arches bookend the rear section and accentuate the wide track, while a precise spoiler lip brings a modern edge to the car’s detailing. A carbon diffuser integrates the now familiar two sets of twin exhaust tailpipes and wraps up the rear styling with a sporting flourish.